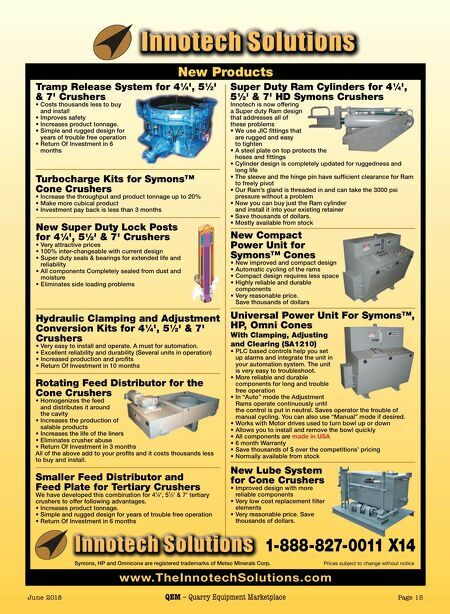 ISO9001 Page 14 QEM – Quarry Equipment Marketplace June 2018 June 2018 QEM – Quarry Equipment Marketplace Page 14 CALL FOR YOUR LOCAL GATOR DEALER GATOR MACHINERY COMPANY 11020 Cherry Avenue • Fontana, CA 92337 800-689-9988 • 909-823-1688 • Fax 909-823-6868 www.gatormachinery.com • sales@gatormachinery.com Want High Production At Reasonable Prices? 1-800-689-9988 AE M ASSOCIATION OF EQUIP MENT MANUFACTURERS ISO9001 Certi fi ed ISO9001 Certi fi ed Certified has the solutions to all of your Equipment needs! 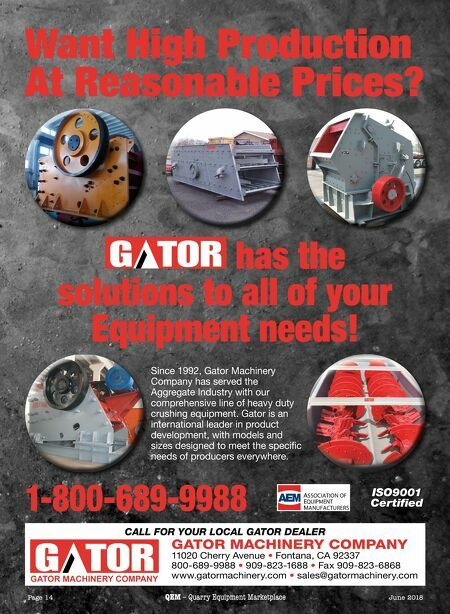 Since 1992, Gator Machinery Company has served the Aggregate Industry with our comprehensive line of heavy duty crushing equipment. Gator is an international leader in product development, with models and sizes designed to meet the specific needs of producers everywhere.